M A Entertainment in association with Trinity Films brings you the family entertainer of the year 2016 'Yea Toh Two Much Ho Gayaa', wherein you shall experience double dose of entertainment amidst total confusion. The film is directed by Anwer Khan and co-produced by Mudar Unwala, Ali Unwala and T Nillay Pande. The story is about Mann-Mohan lookalike twin brothers living in two different parts of the world, getting trapped in some unwitting situations followed by unknowingly replacing each other only to get into further trouble. 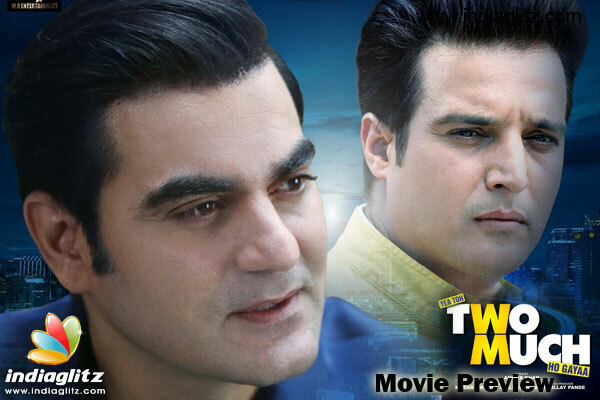 'Yea Toh Two Much Ho Gayaa' stars Jimmy Sheirgill, Arbaaz Khan, Pooja Chopra, Bruna Abdullah, Murli Sharma, Vijay Patkar and Zarina Wahab among others. The film is releasing on September 2.